Recruit, onboard, pay and train with ease. 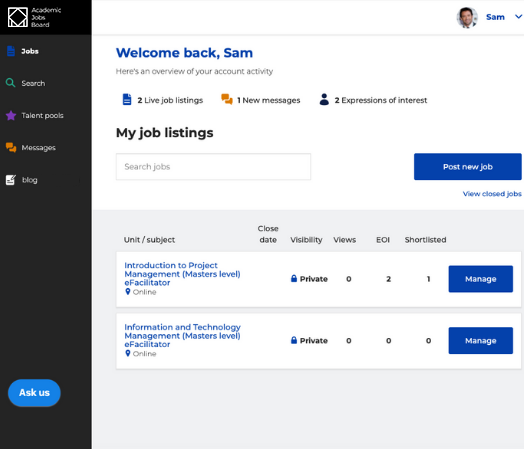 Streamline adjunct recruitment and management for your institution. 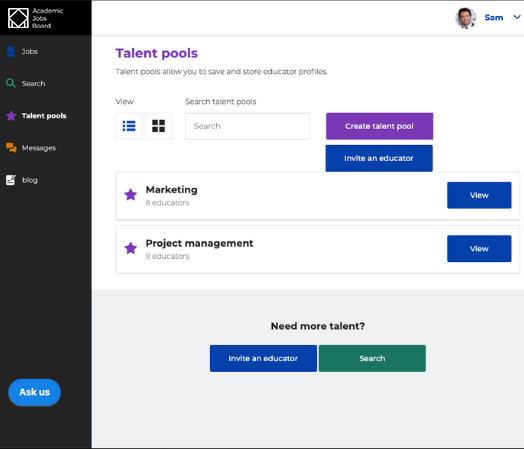 Enable staff to efficiently recruit and manage instructors. You can manage and monitor staff access. 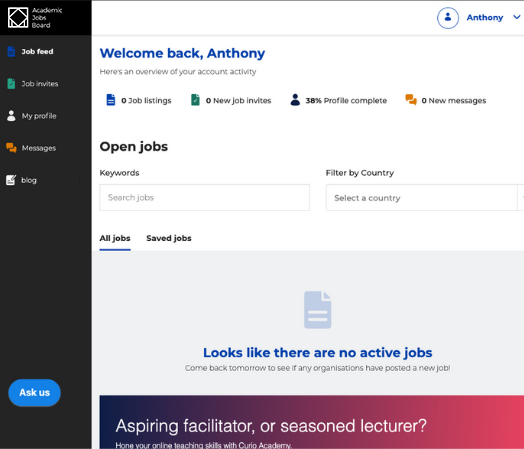 Save time by digitising your educator onboarding and induction processes with Sessions. You approve the timesheets and we make sure the educators are paid their salary, 401k and benefits. "Sessions has made large recruiting cycles much more efficient. I have found some fantastic educators using Sessions!" Who is sessions enterprise for? Provide hiring staff with an end-to-end solution that ensures recruitment and onboarding follow institution requirements. Track and manage account access of coordinators and daily staff involved in recruitment. Thank you for registering your interest. We will be in touch shortly.